London-based label Ninety Percent donates the majority of its profits to charity - to choose which cause you'd like your purchase to go to, enter the unique code found on the care label on the brand's website. 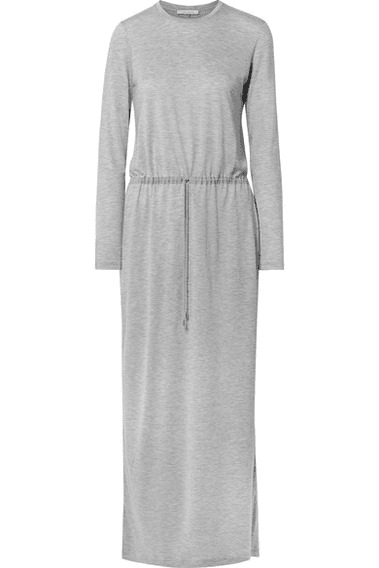 Made from lightweight Tencel, this midi dress has drawstring ties that highlight your waist. Wear it with slides or sneakers.